Cruising and relaxing on a lavish ship in the sun is a dream of many people. 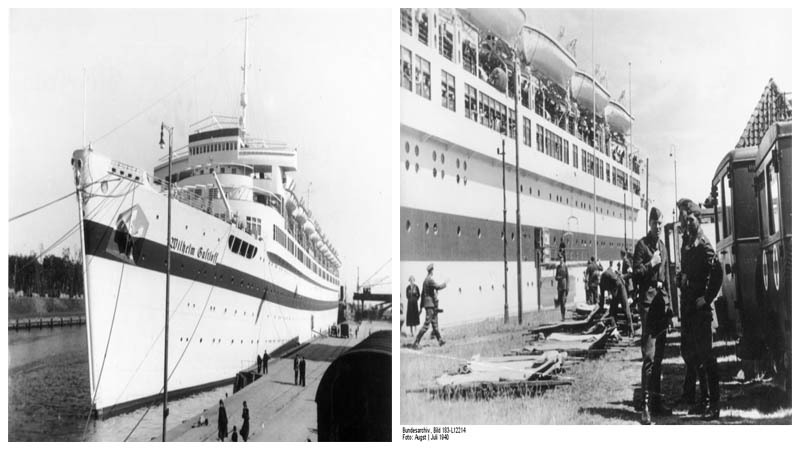 But the people onboard MV Wilhelm Gustloff had quite a different experience when they boarded this massive ship. The year was 1945, and Germany was losing its grasp on the Second World War. The tables were turning, and now it was the Red Army who appeared to have the power. With not much left to do, the Germans were looking for a way out. 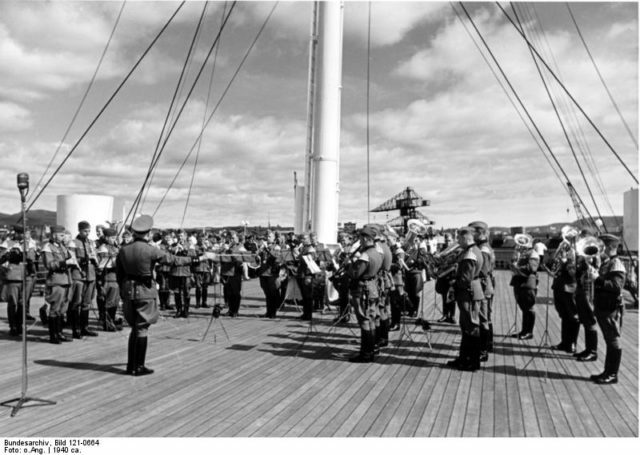 For this purpose, MV Wilhelm Gustloff was put to use. The ship’s story is one packed with action and blood, and it all began in the Blohm & Voss shipyards. Once completed, the boat measured 684 feet in length and weighed more than 25,000 tons. Hitler himself gave the order for the ship to be constructed. His original idea was for the ship to be a lavish cruiser. But it took a while for construction to be completed, and in the meantime, the Second World War was brewing. 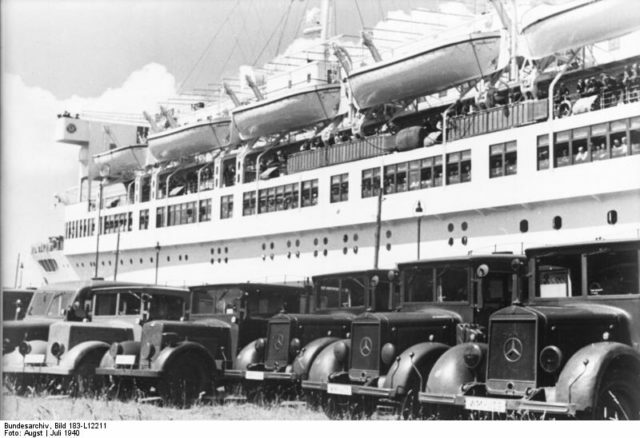 Wilhelm Gustloff was repurposed to serve as a military ship and was named after a Nazi commander who served in Switzerland. Originally, however, she was to be named Adolf Hitler. 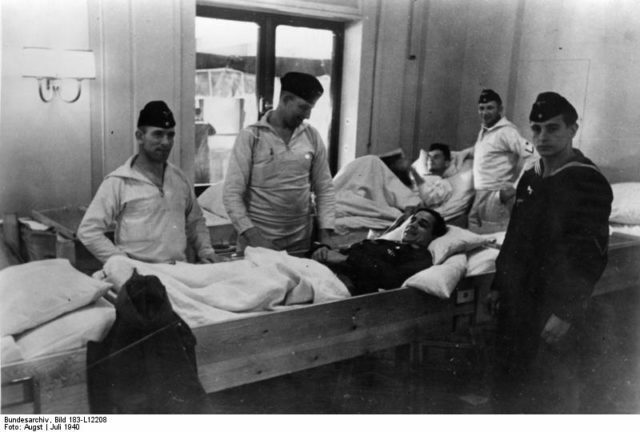 The operation involved extracting all German people, civilians and military personnel alike, to safety as the Red Army was steadily progressing towards Poland. 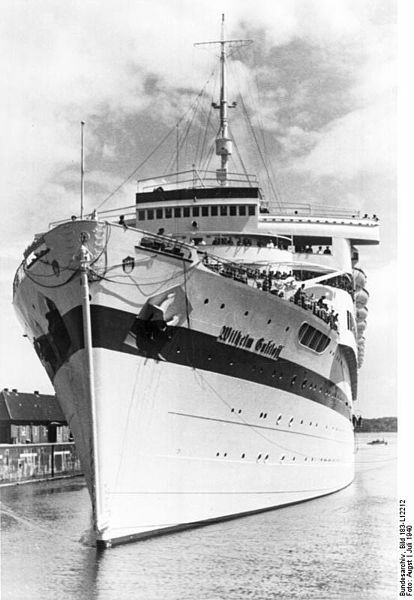 MV Wilhelm Gustloff was mobilized to offer safe transport. On January 30, 1945, the temperature outside was nearing -0.4 degrees Fahrenheit. 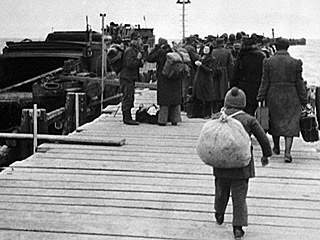 The ship was securely docked at Oxhöft Pier, and people were getting on board to be transported to safety. Once they set sail, there were 10,000 people on board, even though the ship was designed to carry no more than 1,465 people. Close to 5,000 of them were children. 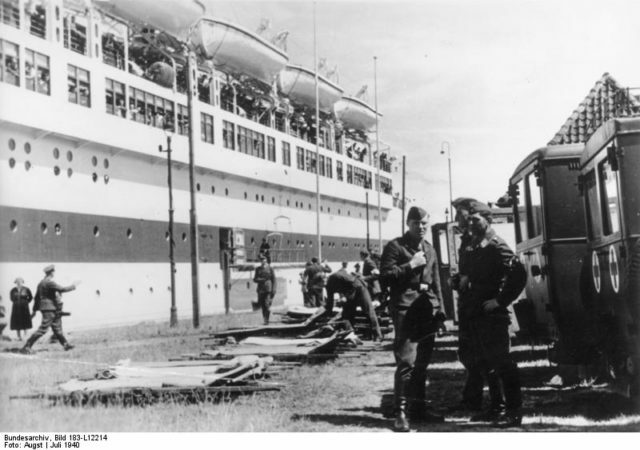 An order was given for MV Wilhelm Gustloff to head out to open sea instead of sticking close to the coastline. Furthermore, one of the captains gave an order for the green and red lights to be switched on to avoid a collision in the dark. 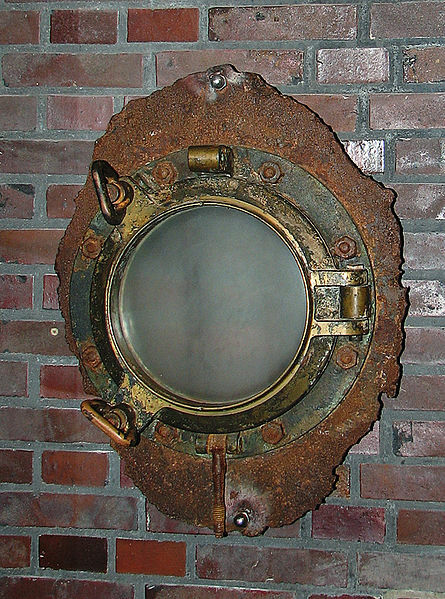 Nobody on board the massive ship suspected anything, but close to their location a Russian submarine was operating: the Soviet S-13. It didn’t take long for the submarine’s captain, Captain Alexander Marinesko, to spot the packed ship. Curious as to what was going on, Marinesko followed the ship for three hours before finally making a decision to fire three torpedoes at it. At 21:00 pm, the torpedoes were fired. All three hit their targets. Hundreds of people died as a result of the direct hits from the torpedoes, and more casualties followed in the panic afterward. Many got crushed by the stampede of people and even more perished as lifeboats capsized and threw people into the deadly cold water. Some 40 minutes later, the ship was lying on its side. Of the 10,000 people on board, only 1,252 were rescued. The rest all lost their lives, and thousands of them were children. 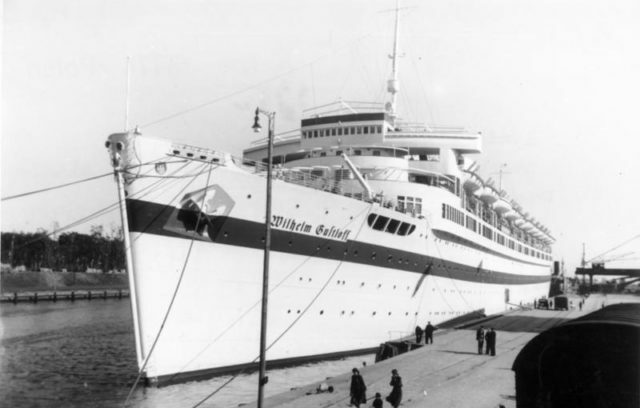 Throughout history, countless ships have been lost; but to this very day, MV Wilhelm Gustloff remains the deadliest marine accident, dwarfing even those of RMS Titanic and RMS Lusitania. Her wreck remains at the bottom of the Baltic Sea, and her story remains as a reminder of the horrors of the Second World War.